Hello Kitty Wrist Watch Only $6.98 PLUS FREE Shipping! You are here: Home / Great Deals / Amazon Deals / Hello Kitty Wrist Watch Only $6.98 PLUS FREE Shipping! Calling all Hello Kitty Fans! This is a screaming deal for a super cute Hello Kitty Wrist Watch! 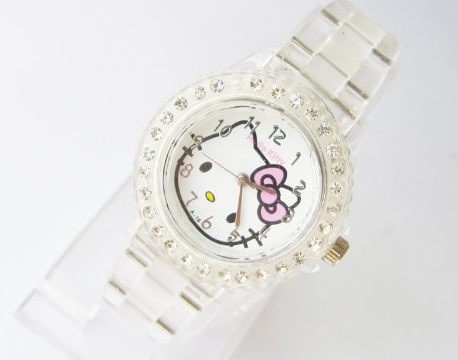 Get this Hello Kitty Wrist Watch Only $6.98 PLUS FREE Shipping for yourself or someone else!